Supporters of the ParityPledge hope it will help more women move into executive roles. (Francisco Kjolseth | The Salt Lake Tribune) Megan Tuohig is vice president of people care for Overstock.com, which had made a pledge to interview one female candidate for top-level executive positions to help accelerate gender parity. Nearly half of the companies that have signing the pledge are Utah-based. There are no women on the 11-member executive team that leads Overstock.com, a Utah-based online store that sells designer brands and home goods. On its board, a woman serves as chair. There are several women on its vice presidential team. But there are no women at the senior vice president level and above. In a step toward changing that gender imbalance, Overstock.com has joined at least 27 other Utah-based companies in signing the ParityPledge — a vow to interview at least one qualified woman for all openings at the vice president level and higher, including the board of directors. As other national initiatives urge companies to hire more women and include them on boards, the promise of an interview may not seem like a significant step. (Screenshot from Overstock.com) In a step toward changing that gender imbalance, Overstock.com has joined at least 27 other Utah-based companies in signing the ParityPledge — a vow to interview at least one qualified woman for all openings at the vice president level and higher, including the board of directors. But Cathrin Stickney, founder of Parity.org and the ParityPledge, says gender imbalance is most acute at the top — where women are not routinely considered for roles that start with C, such as CEO and chief operating officer. The ParityPledge, which launched in September, has no quotas, no deadlines and no watchdog; it’s designed to be “very simple, seamless, frictionless,” Stickney said. Utah companies like the approach: 28 of the 61 companies that have signed on so far are based in the state. Susan Madsen, a Utah Valley University business professor and project director of the Utah Women and Leadership Project, says committing to interview at least one woman for higher-level positions would be a shift for many businesses. 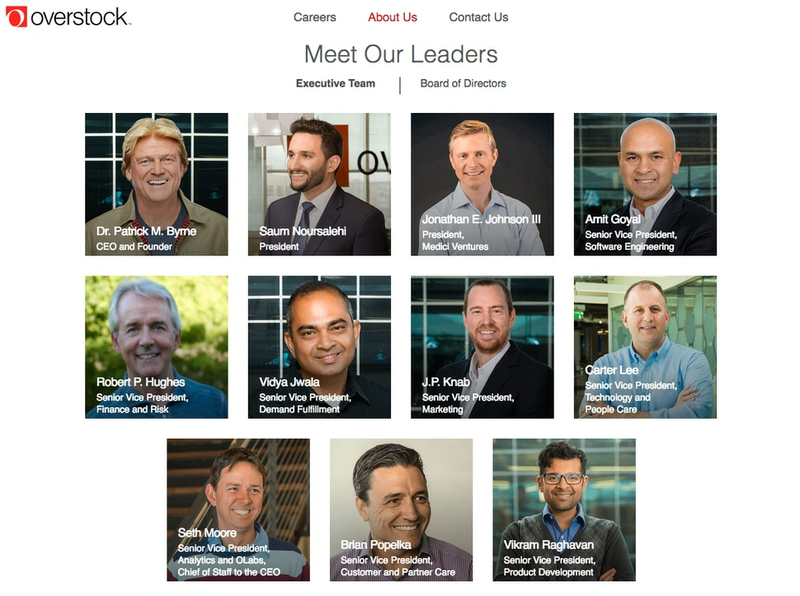 Overstock.com is likely the norm, not the outlier, when it comes to gender representation in top business leadership in Utah. A 2013 Center for American Progress report found that Utah is the third-worst state when it comes to the percentage of managerial jobs held by women. Overstock.com had already been working on interviewing women for leadership roles, said Meghan Tuohig, vice president of people care. Still, a 2016 Harvard Business Review study found there’s statistically no chance a woman will be hired if she’s the only female in a large hiring pool. Acknowledging that, Stickney said she encourages businesses to interview more than one woman in those circumstances. Other initiatives as Overstock.com include onsite day care, expanded maternity leave policies and formal mentorship and leadership development programs, Tuohig said. Utah-based online education company Pluralsight has made the pledge, but it also has other programs to increase diversity, such as hiring a head of diversity and inclusion, said Anita Grantham, its chief people officer. “I’ve been here now for 18 months and even before the ParityPledge, our leadership team has always wanted diversity at our senior level,” Grantham said. 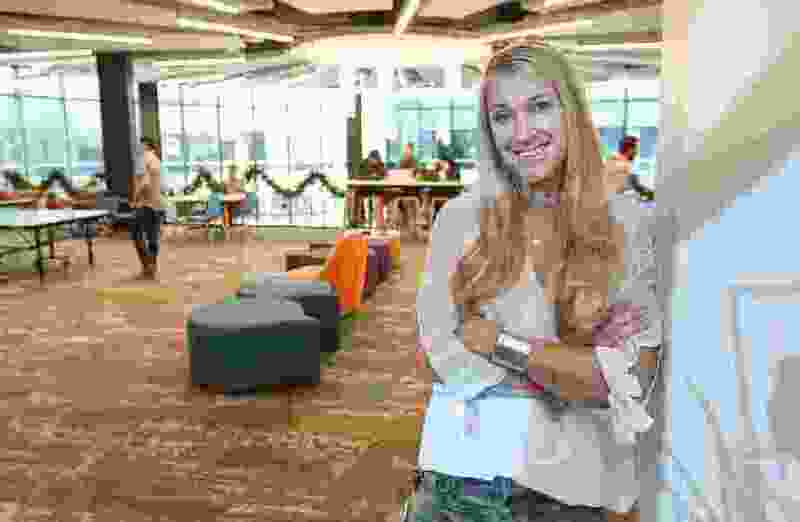 Pluralsight has two female executives in its C-suite: Grantham and Chief Marketing Officer Heather Zynczak. Grantham said the fact that so many Utah companies have joined the ParityPledge shows there’s a desire to change the perception of the state as unfriendly for working women. When Women Tech Council co-founder and President Cydni Tetro started a 3-D printing company four years ago, half the members of her executive team were women. She’s since sold that business and started ForgeDX, where 75 percent of her executive team is women. Why? Because her network is full of “amazingly talented women,” Tetro said. Studies have demonstrated improved fiscal outcomes when more women are members of a company’s leadership team. One global survey analysis from the Peterson Institute for International Economics studied nearly 22,000 firms from over 90 countries and found “that the presence of women in corporate leadership positions may improve firm performance,” which could reflect the “payoff to nondiscrimination” or an increase in skill diversity. But unconscious biases — as well as social and cultural expectations that influence women’s choices in the workplace — may keep corporations from tapping women’s skills, Madsen said. Next, she holds up the word CEO. “Male,” they chorus. Those biases don’t leave the room during an interview, Madsen explained. After companies are encouraged to interview women, Stickney thinks, progress will follow. “Our whole goal here is to not just interview women but to have them hired — but we don’t have a quota to hire them because we want [companies] to select the best person possible,” she said. In 2002, the owner of the Pittsburgh Steelers noticed a problem: though most of the players in the National Football League (NFL) were black, most of their managers and coaches were white. In an effort to change that, Dan Rooney made a simple request: that all teams interview at least one black candidate for every coach or manager positions. In three years, the NFL saw an increase in black representation in those roles, though progress seems to have stalled since 2012.